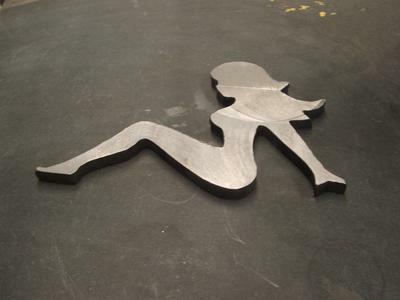 Here are some of the projects I work on as a hobby when I am not working. 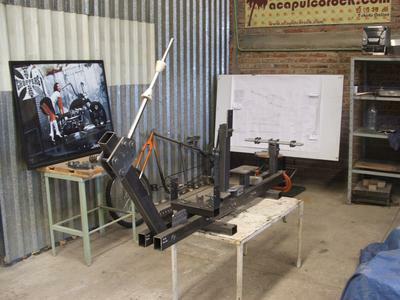 The first picture is of my homemade jig with a rigid sportster style frame I bought the plans for from this site. The plans you can see posted behind the back wall. The jig is not totally perfect but the settings are correct which is all I need. 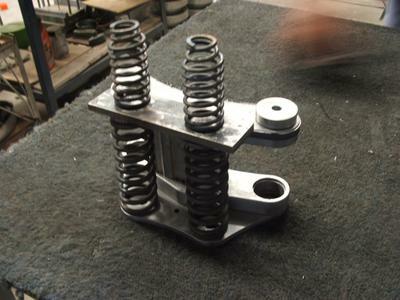 The second picture are of the parts I made (minus the springs) for the springer front end. This back will look awesome when it's done. The sportster style rigid frame slightly raked with the springer front end is exactly what I've been looking for. The builds are not that difficult because the plans are there for me to refer to. All you have to do is make time and do the work. So stop dreaming and get started. I know what it's like when you really want to build something or start a project. Especially a bike project. You start thinking about all the things you need to have ready before you build. This is called, 'getting ready to get ready'. In other words, you'll never start. Take the next step and just do it. Even if you fail or make a mistake, at least you took action and tried something. And from that you learned so that the next time you'll do it better. I can't remember but the guys on this site posted a couple pictures of some guys who built a frame somewhere in the middle east and they had hardly anything to work with. But they did it. So if they can do it, you can too. Plan your project out and stick to the plan. Day 1: get the plans. Day 2: Get the parts for the jig or frame. Day 3: prep your material. Day 4: start building. Etc. Etc. If you have any questions let me know. Hope to see your projects soon! 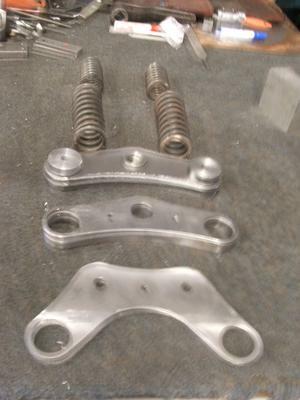 Comments for Jig, Frame, Springer Chopper Projects! You can do it and you will amaze yourself! I agree just get in there and try you will amaze yourself as to what you can do.